Finish that blog post you’ve been writing! Discuss difficult and/or open ended questions that you ran into! Meetings take place every other Wednesday right after work, 18:30-19:30. If it collides with an official holiday in your country, simply skip that one and resume two weeks later as usual. Update next-hwc with a redirect to the next meeting! Just show up. 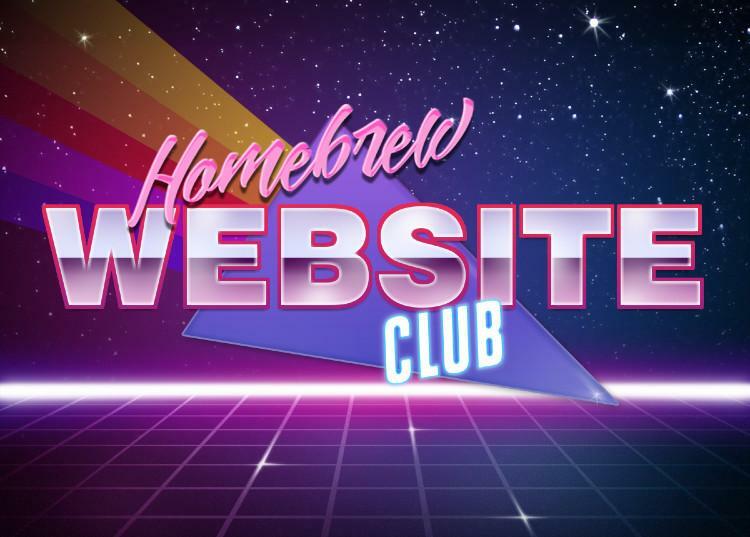 These Homebrew Website Club chapters are well established and meet regularly at least once a month (often fortnightly AKA bi-weekly). If it has been more than a month since a city has met, move them down to popups until a regular pattern is re-established. Alphabetical by city, see each city for regularity. Baltimore, MD - monthly or sometimes biweekly! We meet at least once per month. We aim to meet fortnightly to match the usual HWC schedule, but sometimes skip or move a week to avoid conflicts with our venue. Every Thursday from 6pm to 7:30pm (unless Jeremy is out of town). List as "Venue TBA" pending confirmation of a regular venue. Meetings on Mumble, other platforms sometimes under consideration. These cities have held popup Hombrew Website Club meet-ups at least a couple of times recently, and are working hard to get established! After three consecutive months of successful regular meetings, popups get bumped to Regular meetings! Or if they do not happen for three months, bump them back down to Getting Started. Portland, OR, first Wednesday of the month (current schedule). Speak up and help make another meetup happen in your city! These cities have organizers (can always use more), have started with at least one meeting, and would love to hear from you to help make more happen. If it's been more than six months since a meet-up or organizers have all moved to other cities, move a city to "Up-and-coming or needs restarting" in the next section. Please help to invite others! Need help with outreach, etc. Need help with venue, outreach, etc. First meeting to be set. Come and discuss if interested! First meeting: 2018-10-09 IndieWeb Meetup! Second meeting: 2018-10-24 IndieWeb Meetup! Step up and make a meetup happen. These cities have one or more organizers interested in helping making a meetup happen and are up for grabs. Step up, contact the folks below, and make a meetup happen! Meets Tuesday nights. Met nearly every Tuesday night during 2015 from 2015-10 onward, and every Thursday night before that since 2015-08-13! First meeting on 2017-07-26, on a hiatus as of 2018-03-01. Some lessons learned: having a co-organizer is helpful for days when there are low attendance. 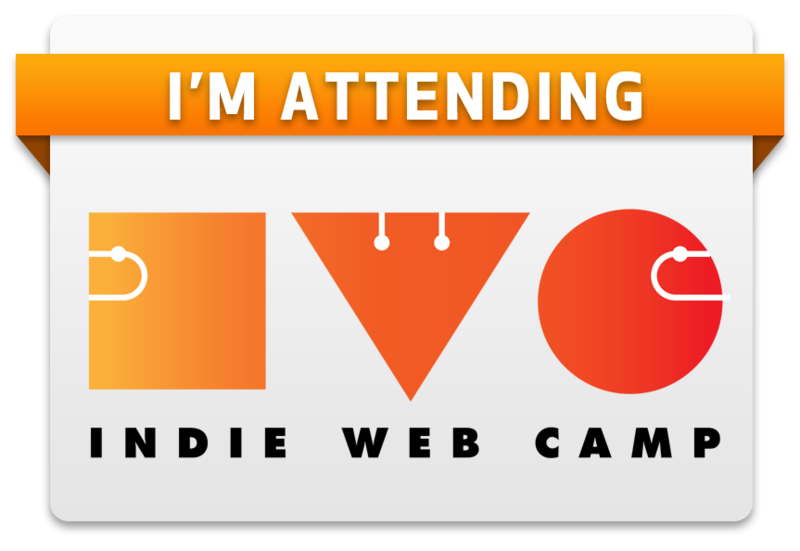 Future plans: potential rebranding to IndieWeb Meetup vs. HWC to broaden external appeal, potentially find a co-organizer, etc. Considering restarting in the first quarter of 2019. Schiphol Airport Plaza: HWC will happen there when international travellers show an interest. Nijmegen and Utrecht are discussed as well. Waiting for: one or more additional regular co-organizers! Zachary Donovan has been unable to plan. Waiting for: need new space! Interested in helping start a Homebrew Website Club? Find or add your city and name below! Brisbane, Australia - Malcolm Blaney is interested, has an office walking distance from train. Rochester, MN - David Williamson is interested in organizing a meetup. Savannah, GA - User:Lawver.net is interested in organizing! St. Louis, MO – Mark87 is interested in meeting up in St. Louis, MO. Durham, NC - Kimberly Hirsh is interested in meeting up in Durham, NC. Vienna, Austria - Rosemary Orchard is interested in attending/organising something. ... add your city and your name here if you're interested in co-organizing a Homebrew Website Club in your city. These cities used to have meetings and could totally use a new space(s) and/or another/new co-organizer(s) to step and make one happen! Past co-organizers are more than happy to help connect you to the existing community, so definitely reach out! Waiting for: need new local organizer(s)! 2017-10-11 We haven't had a meetup for a few months now and none planned at the mo. Organizers, use the following to keep your Homebrew Website Club meetups on time and on track. Remember to take and post a photo to the event page! Invite everyone who attended previous Homebrew Website Club meetups in your city, and those you've invited before, and any friends you know who may be interested in having their own website, or upgrading their blog etc. make or bring a sign that clearly indicates the presence of an IndieWebCamp Homebrew Website Club meeting. If you come up with a nice sign design, please upload it to the wiki! consider setting aside a separate room or space for "Conversation Corner" for those that can't help but want to carry on a conversation during Quiet Writing Hour! 17:25 test your projector setup to make sure people can show demos of their sites during the "Broadcast" half-hour from 18:30-19:30. 17:30-18:30 optional Quiet Writing Hour: some locations have started hosting a quiet writing hour from 17:30-18:30 immediately before the meetup itself. if this is your first time, introduce yourself, name, URL, what you'd like to do next with your personal site. ~19:00: Group photo - organizers should call time on the "broadcast" phase and then organize and take a group photo to upload to the wiki and embed in the "Photos" section on the page for the specific event. This also helps break-up existing sitting patterns and gives people a chance to move around. ~19:00-19:30: Peer-to-peer - encourage everyone to find others they heard in the previous half hour that were interested in similar topics. Help newcomers with getting started with their personal sites, and hopefully even logging into the wiki and adding themselves to the RSVP section for the meeting! ~19:30: Group photo - If you forgot to take a group photo, or anyone new showed up, use the end of the peer-to-peer session as an opportunity to take another group photo. ~19:45-20:00: Clean-up and meeting closure - get everyone to help clean-up and leave the meeting space cleaner than they found it (BarCamp style). Encourage folks to continue discussions at a nearby pub or cafe and get food/drink too! Combine notes from the broadcast portion of the meetup into a post. At least one group photo from your meeting. Any other wrap-up posts with notes from the meeting. Check out cafes that have an environment where people are sparse and the cafe is ok with hanging out with laptops for an hour or two. What kind of food venue is works well? Cafe style is best, where you order at the counter separately, and can come and go independently. How should a co-organizer add a HWC-event to the wiki? If your HWC is (preferably) on the same date as the "usual" HWC, add your city to the existing event page! How do I promote an HWC event? Invite participants from previous HWC events in the same city. There are several logos and graphics you can use in your promotions. Some organizers have found it useful to create a separate web and social media presence for their group. This allows potential attendees to stay up-to-date on upcoming events without needing to follow the organizers' feeds, and (potentially) allows multiple organizers to manage announcements and marketing. HWC London has a standalone website and Twitter account. HWC Baltimore has a Twitter account. What should I bring to the meetup? 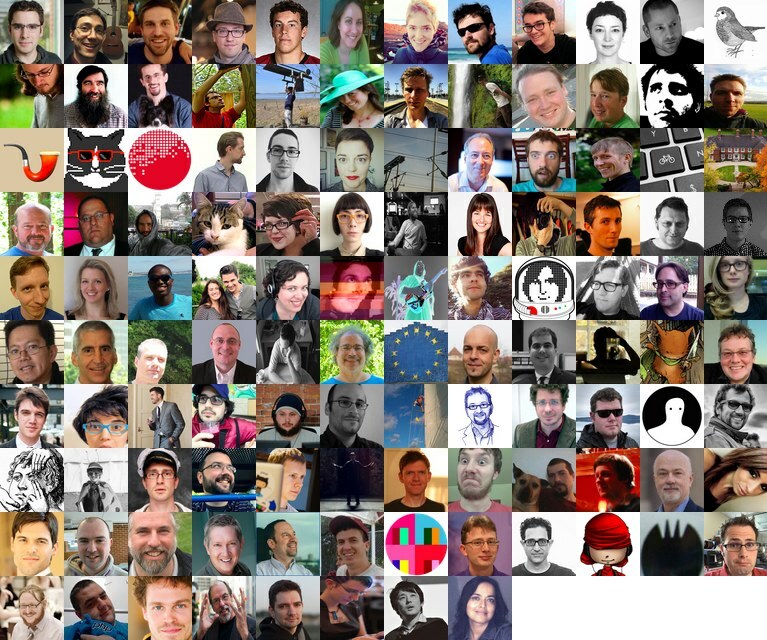 Ask active community members who (help) organize (or have organized) Homebrew Website Club meetups, e.g. in IRC, or in-person at a meetup! Tantek was inspired after attending the Homebrew Computer Club 38th Reunion and set up the first meeting 2013-11-20 in San Francisco. Which has a similar list of active cities, how to start your own, but presented much more simply. This is an archive of the HWC 2016 planning, originally found here. 0 Tantek Çelik ok with this. no longer any preference. 0 gRegor Morrill OK with this. Not attending an HWC currently so does not impact me. but collides with Wednesday before US Thanksgiving thus unlikely to have much (any) participation at US venues. 0 Tantek Çelik ok with this. Getting some feedback that pages on organizing HWC hard to find, I think it maybe best to make a new page that is an HWC toolkit and port most of this content over. At top of this page put two buttons one "Attend an HWC" and another "Organize an HWC"